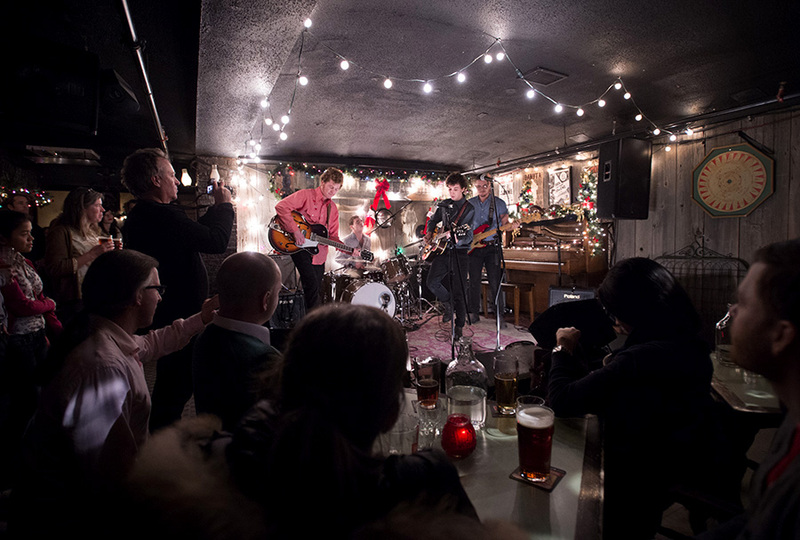 Here’s a fun story I worked on with The Globe and Mail’s Mark Medley on a series of shows at the Dakota Tavern in Toronto that intimately combine literature and music with the audience not knowing any of the musicians or artists on the bill. 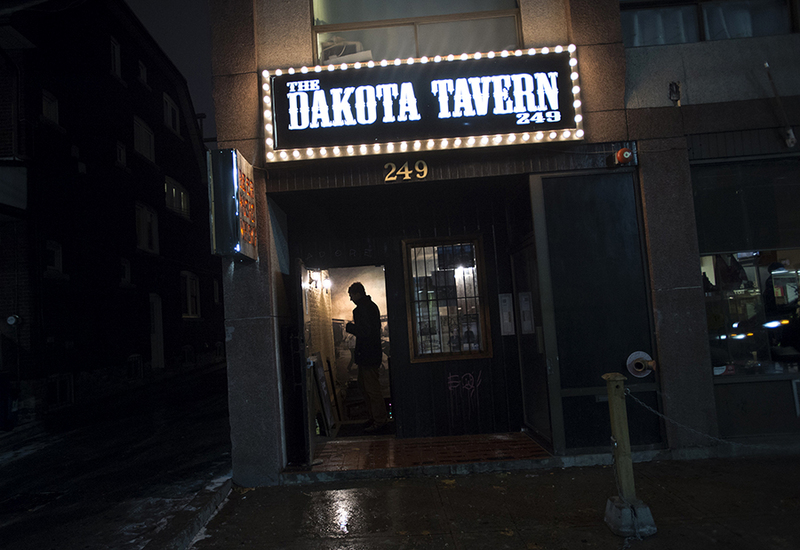 A man stands in the doorway of the Dakota Tavern before the start of Jason Collett’s Basement Revue in Toronto. Harlan Pepper perform in Jason Collett’s Basement Revue at the Dakota Tavern in Toronto. 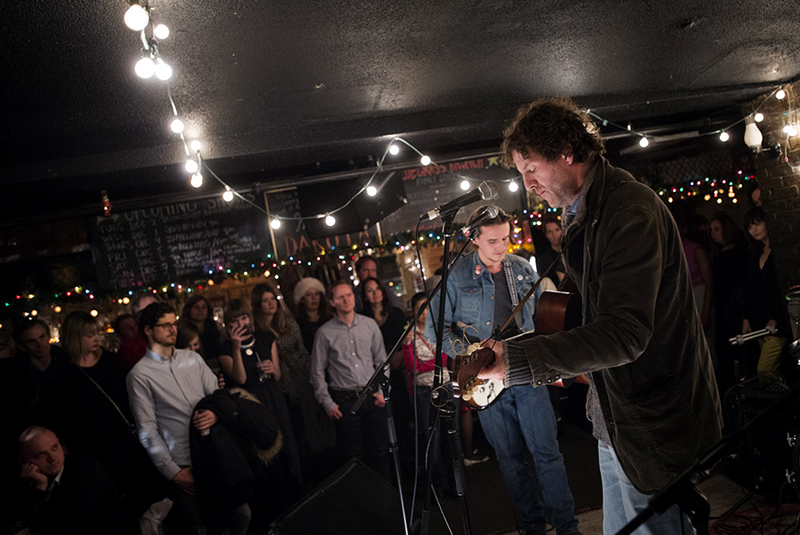 Singer-songwriter Al Tuck, right, and Aaron Comeau perform in Jason Collett’s Basement Revue at the Dakota Tavern in Toronto. 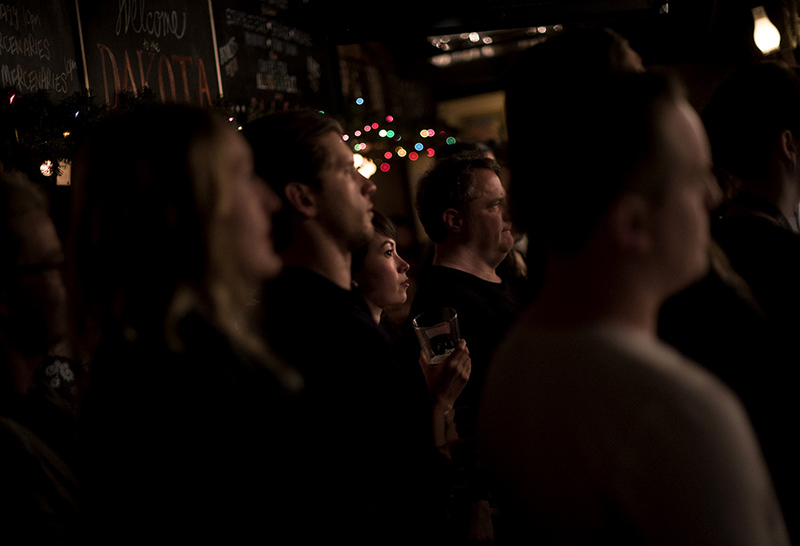 Patrons pack inside the Dakota Tavern during Jason Collett’s Basement Revue in Toronto . 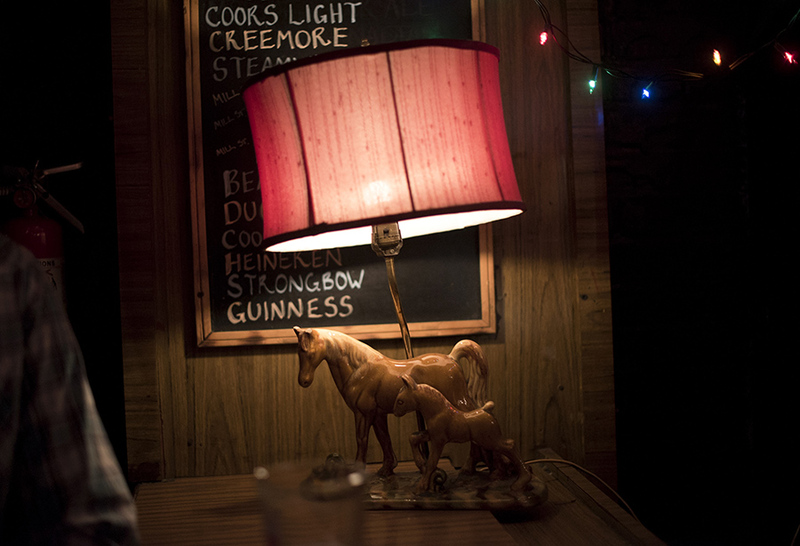 A vintage lamp rests in front of a draught menu at the Dakota Tavern Jason Collett’s Basement Revue in Toronto. 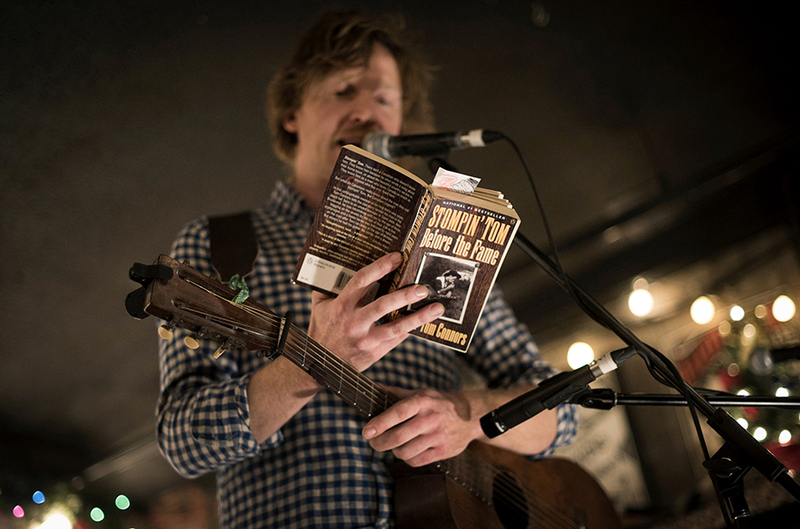 Singer-songwriter Doug Paisley breaks from playing to read an excerpt from Stompin’ Tom Connors’ book “Before The Fame” during Jason Collett’s Basement Revue at the Dakota Tavern in Toronto. 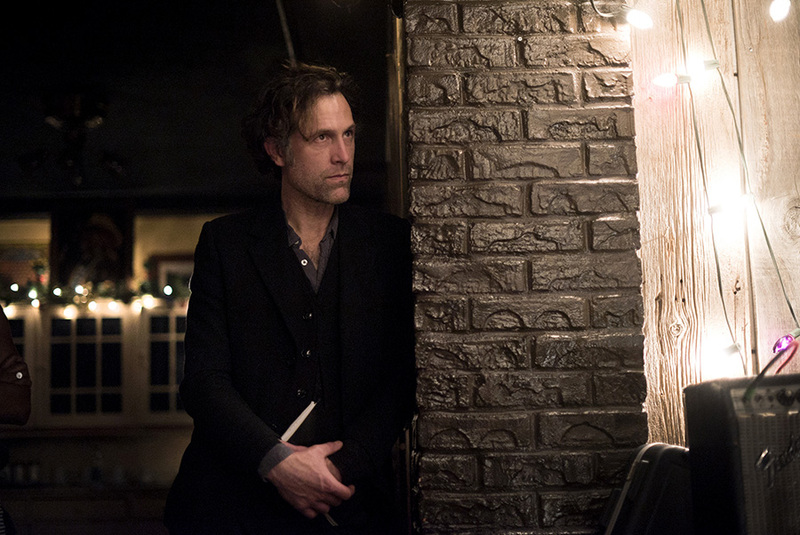 Jason Collett listens from behind the stage during the Basement Revue at the Dakota Tavern in Toronto. 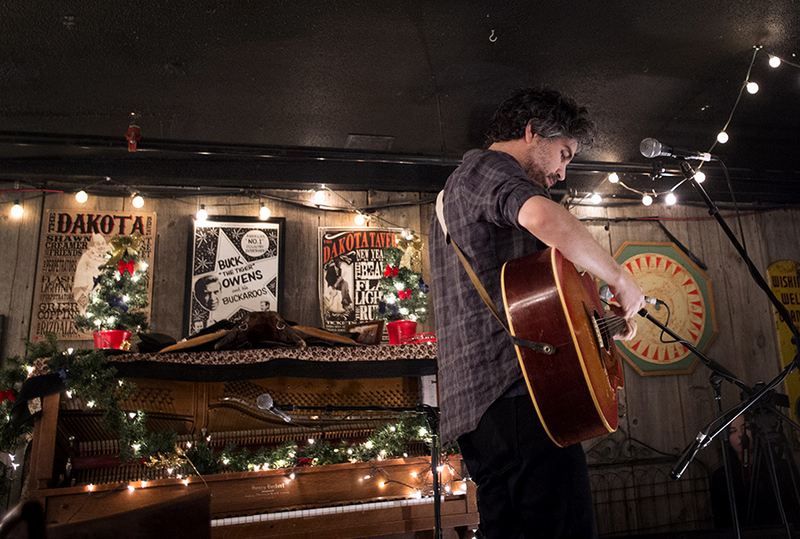 Singer-songwriter Hayden performs a song from his upcoming record during Jason Collett’s Basement Revue at the Dakota Tavern in Toronto. 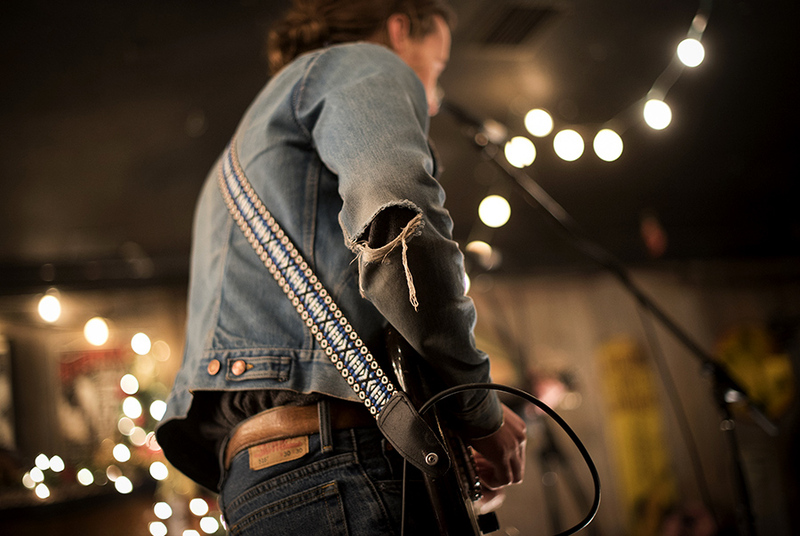 A tear in guitarist Aaron Comeau’s jacket is seen while performing with Al Tuck in Jason Collett’s Basement Revue at the Dakota Tavern. 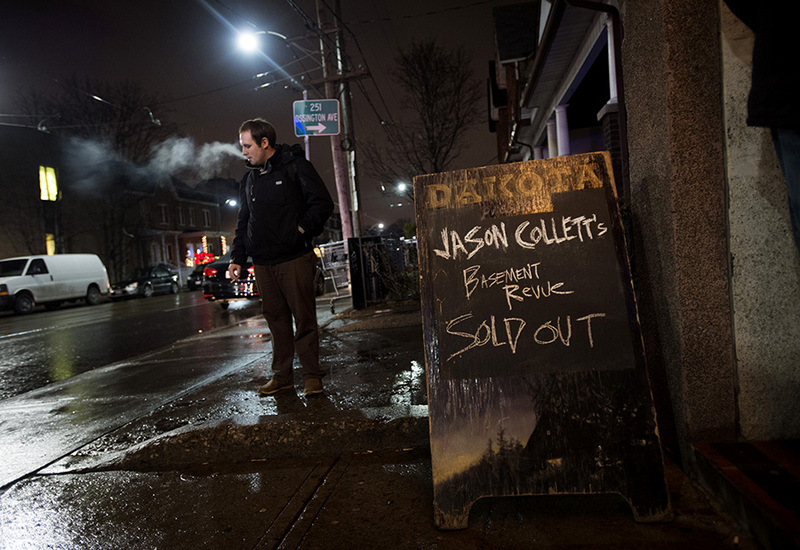 A man smokes outside of the Dakota Tavern during Jason Collett’s Basement Revue in Toronto.